Music producer and musician Robert Seagrove is busy with No Tax working on the next CD scheduled to be released early in 2014 will be released on Seagrove's new record lable, Popular Original Record Network. Popular Original Record Network, Seagrove's music organization, was founded in lieu of the former label, Bounce Records, being shadowed by his honeycombed involvement in the music business. Popular Original Record Network (P.O.R.N.) was founded to incorporate Seagrove's original song catalogue, original recordings, recording studio, art work, publishing, custom audio, audio repair, modification, and manufacturing all under one name. There was also unpublished works from other colleagues which Seagrove plans to publish under the new company name. When the domain name of the company was first published, Seagrove received a call from his son in law Terry, CEO at Planet CPU. Terry pointed out the bloop in the short form version of the company name. "I was aghast at first" says Seagrove. "I don't know how I ever missed that one but I was so happy with the name that I registered it and swiftly had a web page on the go. Terry had found it quite funny and thought that it might potentially be a good thing. Seagrove continues, "Terry's view on it lightened me up a little so I left the name alone. It does restrict the company to adult content only though! I hope that others can see the humor buried within the name!" Robert Seagrove is at Neptune Sound Studio recording tracks with his band "No Tax", Michael Sloski, drums and James Gannett, bass guitar. "I'm excited about the band name" says Seagrove. "It was another bloop. One day in haste I spelt tracks wrong. I thought No Tacks was a good band name but thought to change the spelling to No Tax because I'm trying to do this years return and can't get it off my mind. Though unfortunate, it won't be Robert Seagrove with No Tax. We'll still have to pay the Tax." The new album, available on line at iTunes and other commercially available outlets in early 2014 is going to feature some Jimi Hendrix covers as well as new original songs. Seagrove continues, "I've always been a big fan of both Jimi Hendrix and Frank Sinatra. Both of them are at opposite ends of music genres but after all they both shared the Reprise label." 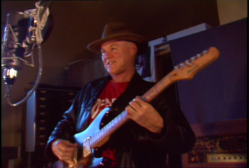 Robert has spent the bulk of his music career as a guitarist, songwriter, vocalist, audio engineer, putting together a number of bands spanning decades while writing and producing music. Past releases have found their way to admirable rotation on commercial radio airwaves. Robert has entertained audiences at many hotels and chains including Sheraton Hotels, Hyatt Regency Hotels, Park Plaza Hotels, including High Schools, Universities and music performance halls. He also works as a freelance guitarist, founded Neptune Sound Studio, designs, repairs, modifies and builds high end audio equipment. Most notable achievements include the invention of "The Electro Acoustic Sound Diffuser" for the electric guitar.